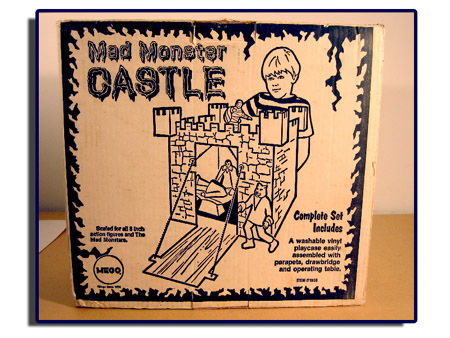 The Mad Monster Castle holds the distinction of being the sole playset in the entire Legends line which would also give you the assumption that they were the best sellers. 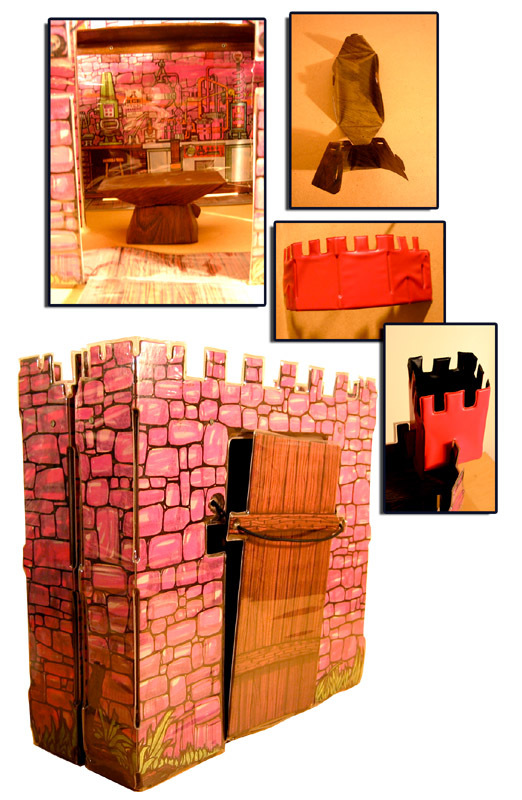 Although a castle was also advertised for the Super Knights and Super Pirates, these were never made and would have been quite different than the Mad Monster Castle anyway (See the Wizard of Oz Witches Castle for a better look at how the knight’s play set might have looked.). 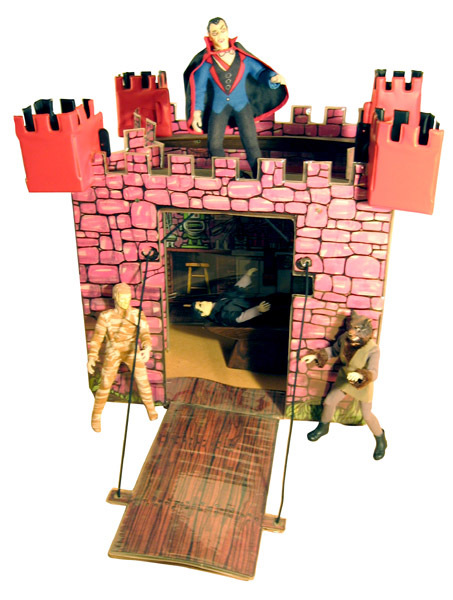 The Mad Monsters Castle made it into the pages of the 1975 Wards catalog, for more pages like this visit the Megomuseum Departmen Store Catalog Gallery. 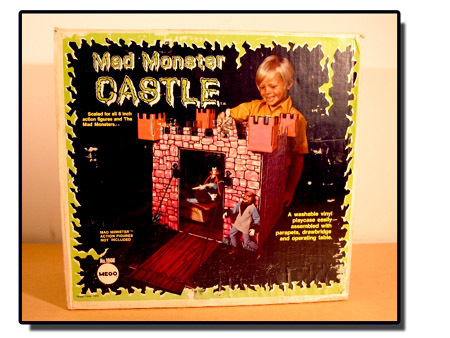 The Box for the Mego Mad Castle forgoes the usual Gray Morrow artwork in lieau of using a photo of a happy child playing with the toy. Below you can see pictures of the interior of the castle, the laboratory artwork contains an eye chart, guess we had a mad optometrist on the premises. One of the problems of keeping this playset in the box too long is that it tends to fold up if you try to display it.